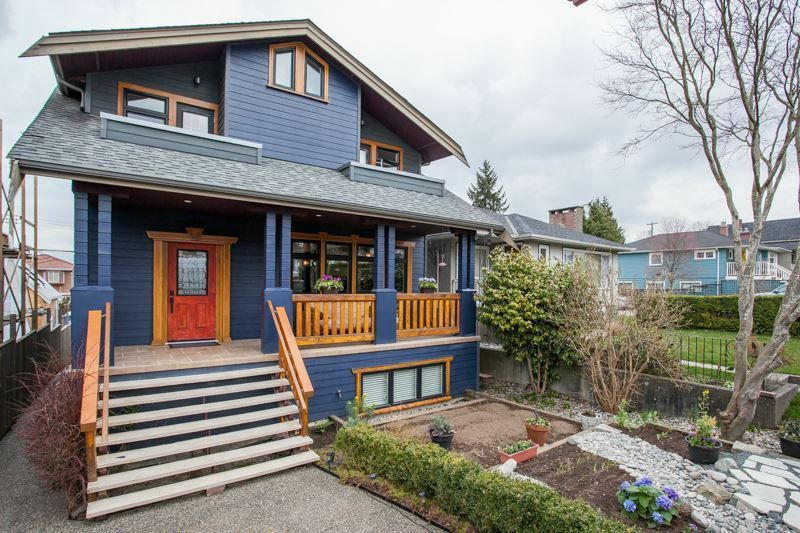 "The Fraserhood" this nearly 3000 SQFT home is ideal for entertaining or family living with open plan main flr, high ceilings, bamboo floors, dbl sided F/P and den or 4th bedroom. 3 bdrms up with A/C master feats 5 pce ensuite, WIC and French doors to balcony. Main bath up with tub & stacking laund. Garden lvl feats great, separate 2 bdrm, 2 bath unit with approx. 9' ceilings, French doors to private patio, nice kitchen & its own full size laundry. Currently rented @ $2400 p.m. utils inc. This home was built with exceptional seismic standards & maintains a green profile wherever possible. Owner rebuilt the home 5 years ago thinking he would be there forever. Radiant in flr heat on top and Main flr & H/W baseboard down. Open House Sunday April 14, 2019 from 2-4 p.m.
PL VAP436 LT 33 BLK 2 LD 36. DISTRICT LOT 391 & 392, EXC N 10FT NOW LANE.